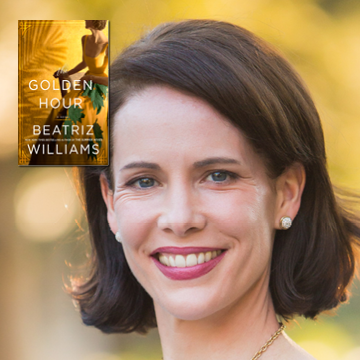 The best-selling author will visit to discuss her latest historical fiction novel, The Golden Hour. Williams is the New York Times, USA Today, and internationally best-selling author of The Summer Wives, A Certain Age and several other works of historical fiction. A graduate of Stanford University with an MBA in finance from Columbia University, she worked as a communications and corporate strategy consultant in New York and London before turning her attention to writing novels that combine her passion for history with an obsessive devotion to voice and characterization. Her latest novel, The Golden Hour, is a dazzling epic of World War II-era Nassau – a hotbed of spies, traitors and the most infamous couple of the age, the Duke and Duchess of Windsor.